Wyoming’s state OSHA department is considering changing the law to hold companies more responsible for workplace safety incidents, especially those that result in the death of an employee. Lawmakers are looking to increase the civil penalty for serious violations. Currently, an employer can be fined a maximum amount, or “cap.” But new laws would raise the maximum cost to significantly more – in some cases, up to ten times the current cap. These fines could be on the table if an employer “willfully and knowingly” violates the state law. For such a sparsely populated state, Wyoming is known as one of the most dangerous and deadly places to work in the country. The statistics back that sentiment up; Wyoming’s rate of worker fatalities is always near the top of the list. “We definitely have seen some improvements recently, but we continue to have workplace fatalities,” said Minority Floor Leader Rep. Mary Throne, D-Cheyenne. “And when a violation results in a fatality, I think there should be an enhanced penalty.” Rep. Throne is not alone in her opinions; Wyoming legislators are looking to make significant changes as quickly as possible. Another proposed law would not change the current fine schedules. Instead, it would fine companies an additional $50,000 above any other fines for violations “that materially contribute” to the death of a worker. According to Throne, this bill should get through the Legislature. Instead of increasing Wyoming OSHA fines, lawmakers have, up to this point, suggested that energy and manufacturing companies enact their own internal safety standards. However, the Wyoming OSHA department may be necessary to force changes on unwilling businesses. Wyoming usually deploys “courtesy inspectors,” who identify safety issues but don’t necessarily cite or fine companies with known safety issues. When state OSHA departments change laws, like this case in Wyoming, it helps to be ahead of the curve. State legislatures are typically more fluid with revisions to existing law, and CertifyMeOnline.net knows OSHA from top to bottom. In fact, our staff includes many OSHA experts. We know when laws change – and how they can impact your business. Along with our aerial work platform training, we offer instruction for scissor lifts, fall prevention, boom lifts and much more. Interested in keeping one step ahead of your state’s OSHA department? Please visit the CMO contact page for more information, or speak with our safety experts at (602) 277-0615. Thanks for visiting the CMO blog – stay tuned for more updates that could affect you and your company. This entry was posted in Aerial Lift Training on October 29, 2014 by admin. With an estimated 100,000 new cases of breast cancer in women diagnosed each year, Location Blais chose to do something a bit unique to help raise awareness for breast cancer. The Quebec-based JLG dealer painted a JLG 450AJ lift pink to raise money by renting the pink boom lift, in which the proceeds will be donated to the Canadian Cancer Society. 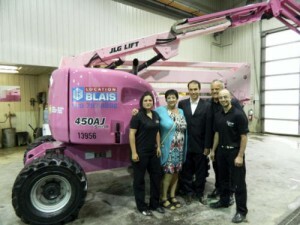 JLG dealer Location Blais painted a JLG 450AJ articulating boom lift pink to raise breast cancer awareness. Standing beside the lift are, from left to right, Christina Bolduc, Denise Racette, breast cancer patient and mother of Serge Blais, Serge Blais, Jr., Location Blais owner, Marc Blais, Location Blais president and general manager, and Olivier Gauthier, development officer with the Canadian Cancer Society’s Quebec Division. Although the bold move coincides with the company’s 40th anniversary, the company owner says they have wanted to raise awareness for years after many of his family members were diagnosed with breast cancer. Due to the location of the small town Rouyn-Noranda, where Location Blais is located, treatment and medical care aren’t always available to breast cancer patients. The local hospital simply doesn’t have the means to treat cancer patients, resulting in extended visits to non-local hospitals. This leads to hardships for those fighting breast cancer and their families. Location Blais created the pink lift to encourage others to learn more about breast cancer and how it impacts families and communities. By raising awareness, the company hopes to accumulate the funds needed to add a radiation department to the local hospital, allowing patients to remain closer to home. The construction company isn’t stopping with one piece of pink equipment to raise funds. In fact, they are planning to add 3 additional pieces of pink equipment by the summer of 2015. Location Blais is hoping their move to go pink will encourage other local companies to do the same. Serge Blais, Jr., Location Blais owner, says he hopes the pink equipment will cause people to stop to ask questions, bringing awareness to breast cancer and their cause. In addition, he says it’s his way to give back to the community that has supported his company for the past 40 years by raising the funds needed to provide necessary services at the local hospital. This entry was posted in Aerial Lift Certification on October 21, 2014 by admin. Somewhere, at this very moment, someone in the United States is violating a safety procedure. It could be something minor, such as not wearing gloves during one final warehouse task. But it could also be a significant safety mistake – for example, driving a forklift with bald tires. What is OSHA? Whenever safety rules are ignored, the possibility exists for workplace accidents than can lead to property and personal damage, including severe injury and even death. OSHA, the U.S. government’s regulatory body for determining workplace safety violations, is responsible for making sure that companies have their own safety plans in place to prevent these potential accidents and tragedies. OSHA is actually part of the United States Department of Labor (USDL). OSHA was officially created on December 29, 1970, when President Richard Nixon signed the Occupational Safety and Health Act into law. The agency’s mission was to “assure safe and healthful working conditions for working men and women by setting and enforcing standards and by providing training, outreach, education and assistance”. The person in charge of OSHA is the Assistant Secretary of Labor, which is currently David Michaels. Under the Occupational Safety and Health Act, OSHA has a broad range of power in regards to workplace health and safety laws. There are some companies and workers that are exempt from OSHA regulation, but the agency still covers about 7 million workplaces in the United States – a per-state average of 140,000 places of employment. If you operate an aerial lift or forklift in the United States, there’s a very good chance you fall under OSHA guidelines and regulations. Not sure? Just ask your supervisor. In order to become OSHA compliant, you’ll need proper training.CertifyMeOnline.net is a top provider of internet and online-based courses for aerial work platforms, boom lifts, scissor lifts and more. We also offer fall protection courses and other training modules. 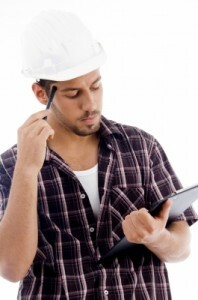 To speak with our team of OSHA experts, just call (602) 277-0615. Additionally you can visit the CMO contact page for more information about pricing, availability, safety questions and more. Thanks for reading the CertifyMeOnline blog! This entry was posted in Aerial Lift Certification, Aerial Lift Training, Scissor Lift Training, Uncategorized on October 21, 2014 by admin. When operating an aerial lift, some tasks will require you to use aerial platforms. When doing so, there are a number of risks involved that can easily lead to a dangerous situation. When working at an elevated height, you’ll need extra training and need to utilize special safety procedures to ensure everyone stays safe. With the proper training, you’ll reduce the risk for falling and dropping objects. There are also a number of tips you can use to ensure everything runs smoothly. – When using aerial lifts, be sure to follow the manufacturer’s instructions to prevent overtraining hydraulics, mechanical issues, and electrical devices. – Unless the equipment’s manufacturer specifies, don’t operate the lift while with workers on the platform. – Keep the aerial lift free from objects that can cause a problem. Ensure there is at least a 10 foot clearance around you, including any overhead lines. – Be sure to use brakes, chokes, and outriggers at appropriate times, such as when at an incline. – Don’t exceed the load limits of the equipment. You’ll need to take the weight of employees, tools, and materials into consideration when using the equipment. – Prior to using the lift, inspect it each time to ensure everything is working properly. – Do not walk under the lift and pay careful attention employees don’t either. – Keep your eyes focused in the direction that the machine is moving. – Use the safety harnesses provided by the manufacturer as an anchorage point, even while the lift is lowered. – Ensure all limbs are away from the lift when raising and lowering it. – Keep a fire extinguisher nearby in the event of an emergency. OSHA has certain requirements that must be met when operating an aerial lift. By abiding by these requirements and the above tips, you’ll reduce the risk for a workplace hazard. 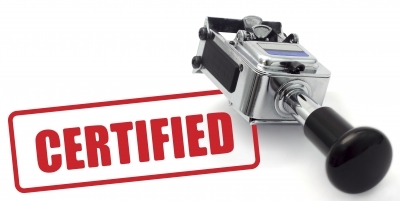 To become properly certified to operate aerial lifts, contact CertifyMeOnline today! This entry was posted in Aerial Lift Training on October 13, 2014 by admin. Are you new to aerial lifts? Looking to get a job in the industry? We’ve put together a list of frequently asked questions (FAQs) for anyone curious about these essential maintenance and construction machines. 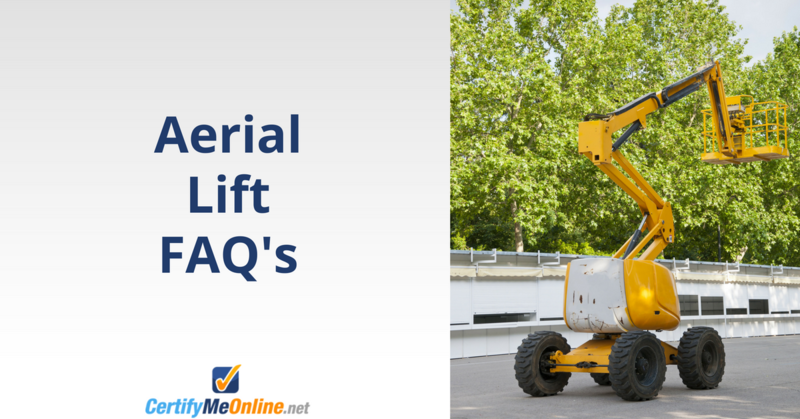 What is an aerial lift? An aerial lift is a bucket truck, cherry picker, or other lift that is used to access elevated areas. Aerial lifts are supported by a boom, which is different from a scissor-type lift mechanism. A boom can either be a telescopic lift, which is a straight arm or an articulating boom lift, which is able to bend, making it useful for jobs that require extra movement to avoid hazards or provide better accessibility. How high do they get? Most aerial lifts are typically designed to lift workers anywhere from 20 – 60 feet off the ground. However, there are some aerial lifts that go hundreds of feet up in the sky! An aerial lift’s range in height depends upon the type of work being done. 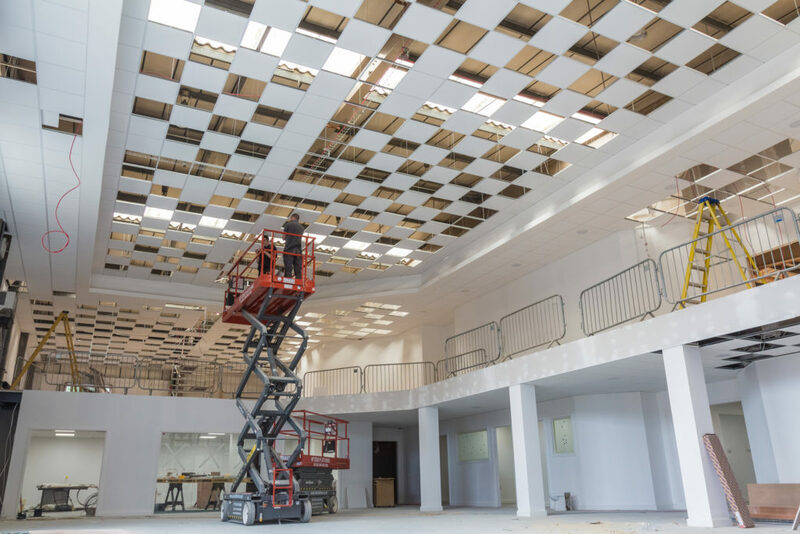 For indoor construction projects, an aerial lift may only be required to reach 30 – 40 feet. But for large-scale projects which require extensive range, it’s not uncommon to have an aerial lift extend 100, 150, or 200 feet and beyond. Regardless of how high an aerial lift goes, CertifyMeOnline.net provides complete OSHA compliant training for all aerial lift operators. Is any special training required to operate an aerial lift? It is recommended that anyone looking to work on an aerial lift has the most recent OSHA compliant instruction. CertifyMeOnline.net is a great place to get started. What jobs are aerial lifts used for? Basically, anything that involves an elevated workspace. Painters, maintenance workers, construction personnel, even security (police, surveillance, etc.) use aerial lifts on a daily basis. Can a boom lift be used as a crane? OSHA guidelines prohibit the use of a boom lift as a crane. A boom lift and crane are used for different jobs and are designed to handle specific tasks. If you use a boom lift as a crane, you’re putting personal safety at risk – and the safety of your co-workers. Doesn’t it get windy up there? As a matter of fact, it does! Dealing with the wind, weather and other special circumstances are just some of the things an aerial lift worker is faced with. Our training material at CertifyMeOnline.net is designed to give workers the skills and knowledge necessary to deal with all sorts of hazards and difficult working conditions while on an aerial lift – including dealing with windy conditions. 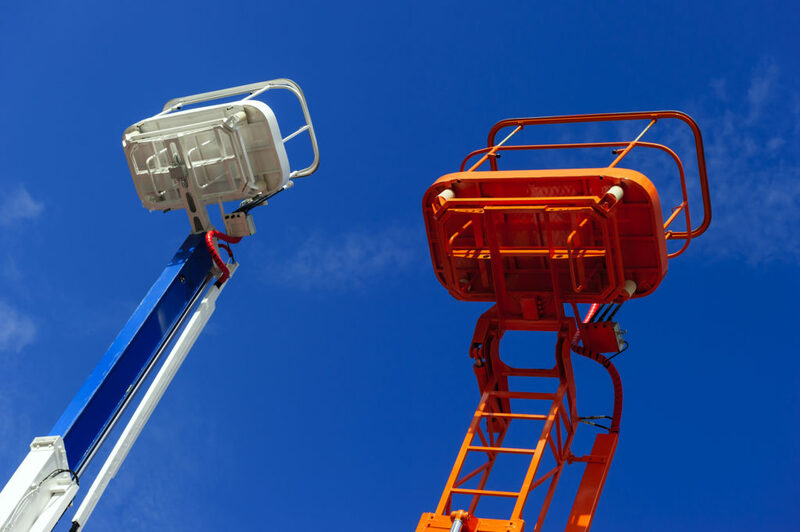 When should an aerial lift be used instead of a ladder? There are many different circumstances where an aerial lift is preferable over a ladder. Aerial lifts are more mobile than ladders and can hold more weight. What’s more, they can also accommodate fall protection equipment. Plus, aerial lifts are stronger and more stable than ladders. For a variety of on-the-job tasks, CertifyMeOnline.net recommends aerial lifts instead of ladders. Does an aerial lift worker make good money? Because the job has risks from falling and other hazards, aerial lift workers usually make a higher hourly rate than other workers. Of course, it depends on the employer, type of work, union considerations and other factors. Perhaps the biggest factor that determines an aerial lift worker’s pay is the local job market. Generally, the larger the market (for example, New York, Chicago, Los Angeles, etc.) pays more than other job markets (Omaha, Jacksonville, Columbus, etc.). Can aerial lifts hold more than one person? The larger lifts are built to accommodate multiple workers. But usually, they hold a single person. Can aerial lifts tip over? Yes. This is one of the most common types of aerial lift accidents. Properly trained aerial lift operators are aware of the different hazards that can cause an aerial lift tip over. The main causes of aerial lift tip overs include uneven surfaces, unstable and / or heavy loads, and failure to properly understand the operational requirements for the equipment. 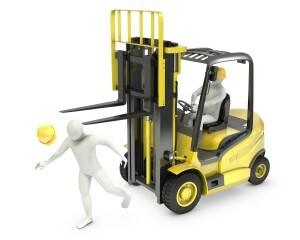 With aerial lift training from CertifyMeOnline.net, you’ll have the knowledge necessary to avoid aerial lift tip overs. That’s just another name for an aerial lift. You’ll also see elevating work platform (EWP), mobile elevating work platform and aerial work platform (AWP) used, as well. All boom lifts fall under two different categories: articulating or telescoping. Boom lifts are not scissor lifts, which have their own type of lifting mechanism. Boom lifts are able to reach much higher than scissor lifts. If you have more questions about aerial lifts, talk to the experts today. CertifyMeOnline.net offers great training for AWPs, aerial lifts, scissor lifts and other elevated work platforms. What’s more, we also supply top-flight fall protection courses and other training for aerial lift workers. Companies all over the United States depend on CMO for their aerial lift training. Call us today! You can reach us at (602) 277-0615, or check out our contact page for more info. Thanks again for reading the CMO blog! This entry was posted in Aerial Lift Training on October 6, 2014 by admin.